This movie is a bizarre mess with no story. Now, sometimes MST3K cuts these movies for time, so its possible we lost some key moments or elements on the floor, but... I don't think so. The MST3K episode DOES feature an astonishing musical number lifting music from The Music Man. The current crew has really hit their stride. And - there's a Kim Cattrall callback. But, yeah, it's a bunch of unmotivated special FX and a cast that I can't not talk about. 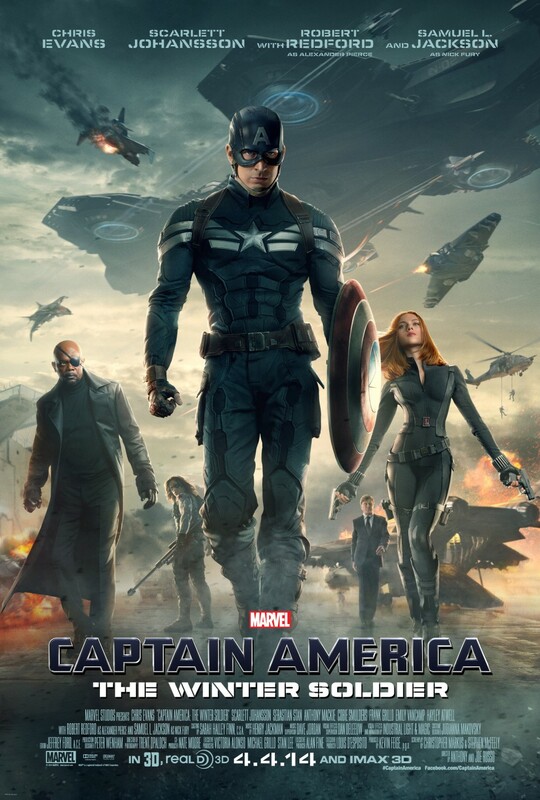 This movie is exactly (exactly) what you think it's going to be. That's not a knock, it's just a statement. It's weird. I feel like Paul Feig would do really well managing a network TV comedy. It seems better suited to his sense of humor where he could have fun with characters than trying to cram in an actual story in 90-120 minutes. This was part of my "I have a cold, so let's just watch some inconsequential stuff" viewing from Friday night, and it fit the bill. No write up. I'm a bit under the weather, but I really enjoyed it. And I can't believe Disney went off-script with their own IP to that degree. A lot of good stuff. 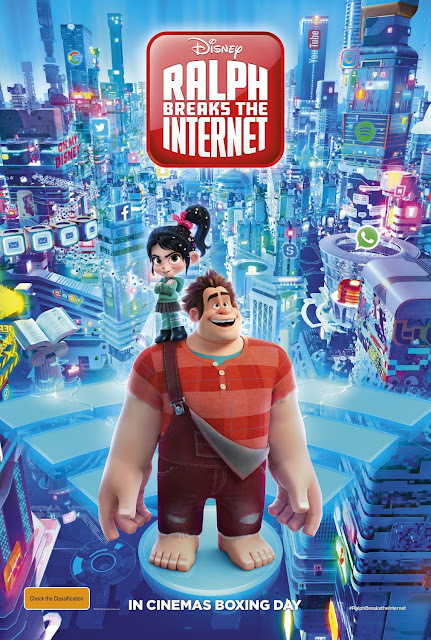 And, of course, Vanellope's song - just brilliant. Late Edit: Our own NathanC wrote a great review over at the TPR site, so go check that out. Viewing: No idea. At least third. 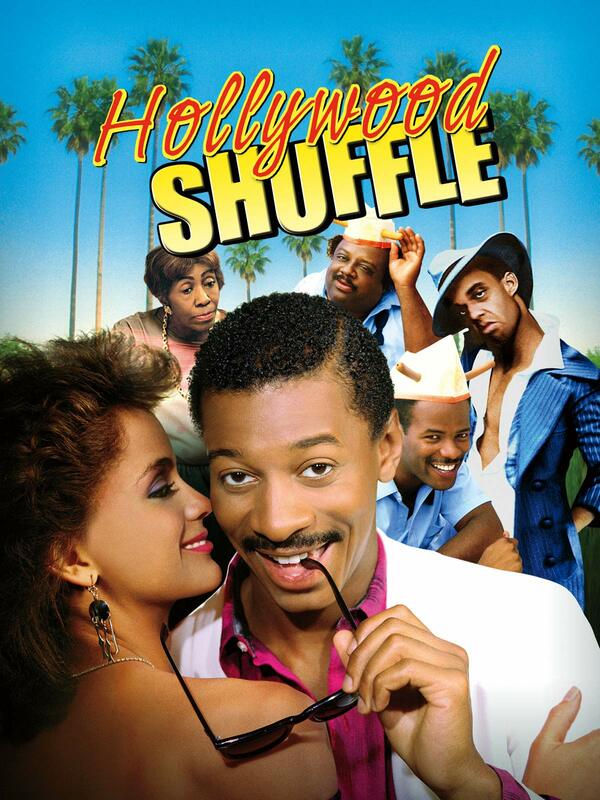 Back when Hollywood Shuffle (1987) first showed up on home video, it was a movie I recall renting and really liking. I know for a fact I only sorta got what the movie was saying and doing and was more interested in the fact that some of the sketches and spoofs played well to even a 13 year old. After all, the movie is about an actor's journey through casting and into his first day on set of a film, loaded with cut-away scenes where they lampoon Hollywood movies. I'd intended to see Devil in a Blue Dress (1995) during it's theatrical run, and I don't really know how I didn't. It was a wide release and ran for a bit. In the intervening years I've watched more noir of the original era, not necessarily watching what came out as noir and neo-noir at the theater. 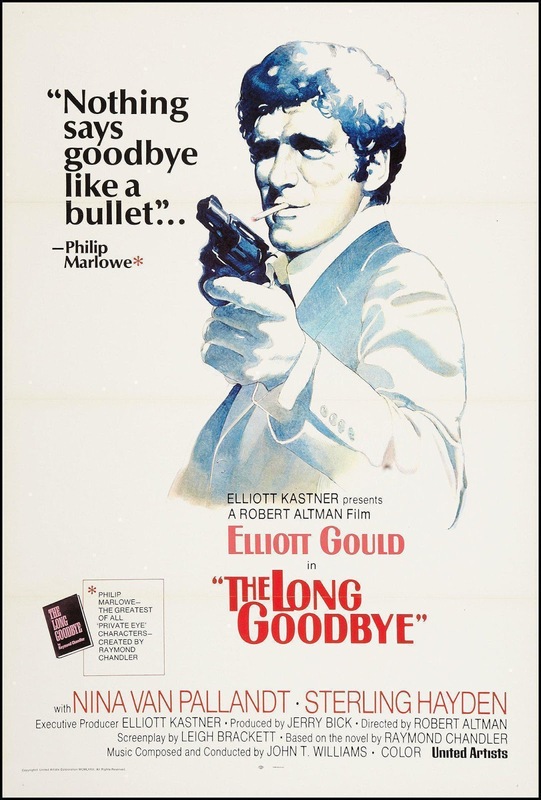 * The 90's and 00's saw a fair number of mid-century crime and costume dramas and glossy neo-noir films that I think a lot of folks today see in their mind's eye more than actual films of the original noir era. Some of the films were pretty good (I love LA Confidential), others were less so (I really struggled with The Black Dahlia). 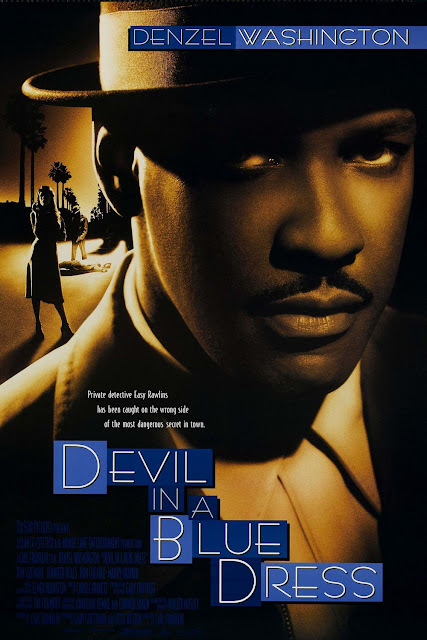 There's a lot to recommend Devil in a Blue Dress, even if it feels like writer/ director Carl Franklin was more intent on establishing a string of movies based on the protagonist's exploits than he was in actually getting into the why's and wherefore's of the story's central mystery. It's one of the extremely rare Black-focused noir films, and does a phenomenal job of world building, leaning on familiar noir tropes and giving us new spin based on the Black experience of mid-Century LA. I told myself that this year I was going to watch all of the films I could obtain which were directed by Ms. Ida Lupino. But as she is not *in* the movies she directs (understandably), I've not gotten around to seeing what she did standing behind the lens (less understandably). Of the films, the most famous is likely the 1953 noir thriller, The Hitch-Hiker, which I recently picked up as a BluRay edition released by Kino Lorber, made from a restoration print struck at the Library of Congress. 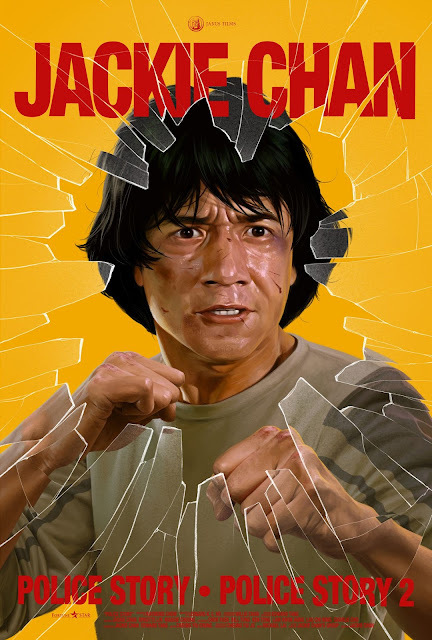 Thanks to some good pals my first year of college, I started watching Jackie Chan movies. Unfortunately, lo these many years later, because I watched many of them in the space of one academic year, I have no idea which is which, what I have seen and what I haven't. The conversation usually went more like "There's a Jackie Chan movie playing at The Hogg Auditorium. We're going after dinner." "Okay." It turned out I had seen Police Story, but not Police Story 2 - but I have, in the past, seen Police Story 3: Supercop. Which was not part of the double-bill at the Austin Film Society that SimonUK and I attended. But, yeah, like all of you, when I first saw his movies, I loved everything about Jackie - his sense of humor, his incredible stunts, his loyalty to his stunt team, the fact he wrote, directed and starred in his movies, and that he even sang his own theme songs. And, yeah, you can see the influence of the comedy greats in Jackie - if you love Buster Keaton or Chaplain, you should like Jackie's movies. If the movies have a weakness, imho, it's that they often can't quite settle on tone. That said, by the end of Police Story, the shift from goofy antics and wacky set-pieces to wanting to see the bad guys get punched just real, real hard is more than earned. Chan's energy is just different from anyone else in cinema. He's got the finesse of Bruce Lee, but - instead of Lee's eye of the storm focused energy, ready to unleash, he sort of is the storm. Maggie Cheung plays May in both films, Jackie's long-suffering girlfriend, and she has some terrific comedic bits and really takes some hits for the team doing her own stunts. The plot is some boiler-plate 1980's cop-movie stuff, and that's okay. It's all a skeleton upon which to hang cool action scenes and showcase the work of Jackie and his crew. In February 2019 I was about 9 months post-graduation and working in a very strange job for - what I figured out - was literally poverty wages (the job required a 4 year bachelor's degree, so... don't major in radio-TV-film, kids). This week marks not just the 20th anniversary of the release of Office Space (2019), but late 2018- early 2019 marks the start of my 20th year in the workforce as an FTE, I suppose. 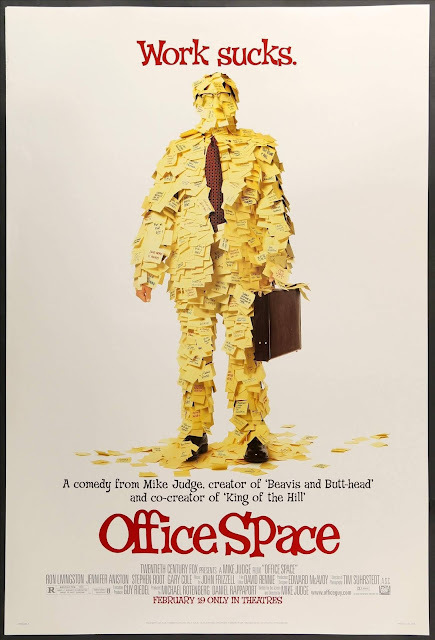 Office Space was a product of Austinite Mike Judge, who had risen to fame first with Beavis & Butthead on MTV circa 1993, and brought Arlen, Texas to the small screen via King of the Hill. Upon arrival, the movie mostly flopped. Critics were relatively kind, but the film had no major stars except Jennifer Aniston in the era of Big Stars = Big Profits, and a workplace comedy about hating your job wasn't exactly groundbreaking. But at the time I felt a certain loyalty to the Texas film scene and Mike Judge, so we went to see it around opening weekend and... yeah. As Jamie said when we were talking about the movie after: this was the first movie I saw that I may not have related to 100%, but it was the first movie I saw about adults that I could relate to as an adult. We reach one of Jamie's all-time favorite movies, a tale of a handsome man who is neck-deep in issues he thought he fixed before he went down for a long nap. Cap returns in an espionage thriller, but - also - a story of friendship. And blowing things up real good. It's one of the big turning points for Marvel as they put their best foot forward with a solid story that takes things up a notch. 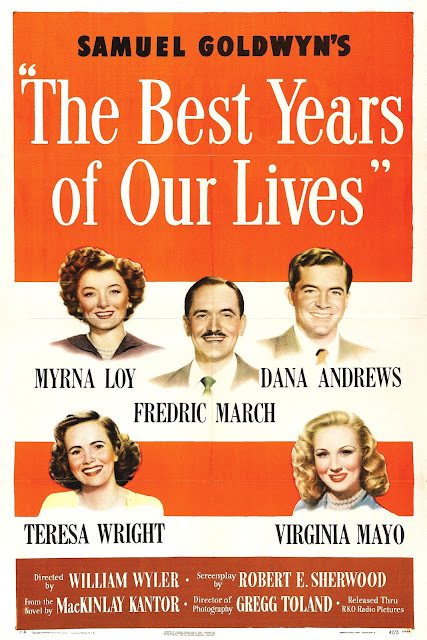 The Best Years of Our Lives (1946) rightfully won accolades and awards upon its release, telling the story of three returning GI's in terms that try not to gloss over the hardships and adjustments those who went to war in WWII must make as they come home and attempt to re-enter civilian life. Perhaps as much or more importantly, the movie doesn't ignore the adjustments and expectations of those who were safe at home, including arcs for the folks who didn't go, for whom life was not on pause as their loved ones - or even former coworkers - disappeared for a few years. Jamie and I went out for a lovely dinner for Valentine's Day, followed by catching up on Star Trek: Discovery, and then - somehow - I wound up watching this movie, and I think for the fashion choices alone, Jamie didn't object. I thought I'd previously seen Coffy (1973) when I started it - because it's currently streaming free to Amazon Prime subscribers, and, I didn't intend to actually watch it. But I hadn't seen it and the next thing I knew I was an hour in. 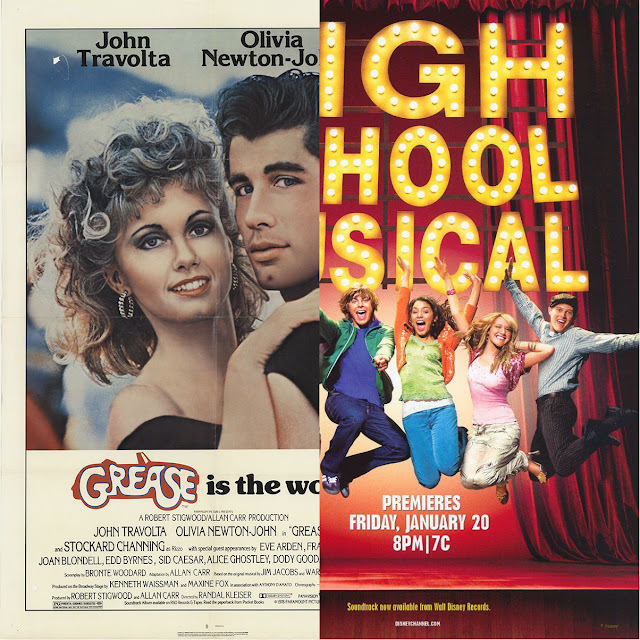 Maxwell and Ryan welcome Marshall to the PodCast as they discuss "Grease" and "High School Musical", two movies that are about finding love and finding out who you are in the nightmare factory that is the American Public High School. One of these films is definitely for kids, and the other... really, not for kids, no matter what America wants to think. 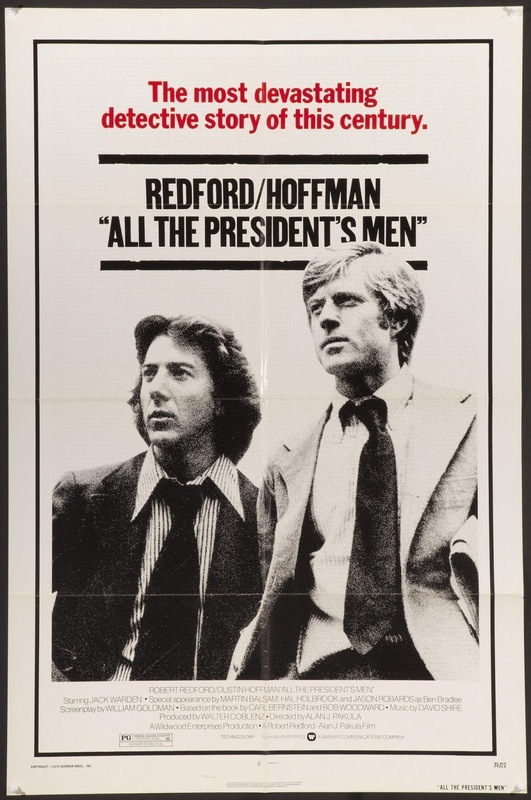 It's too hard to unpack both the film All the President's Men (1976) and the actual events of the Watergate scandal without writing a full treastise, so I won't. But in 2019, the events of this movie have both an echo that sounds all too familiar, but one which it is difficult to believe would actually register with at least half the voting population. If the movie is *about* anything, it's showing how goddamn hard it is to build a newspaper story that will stick, the near-impossible job of the press, and, of course, the responsibility of the press in a free and open democratic society, something this blogger firmly believes in. 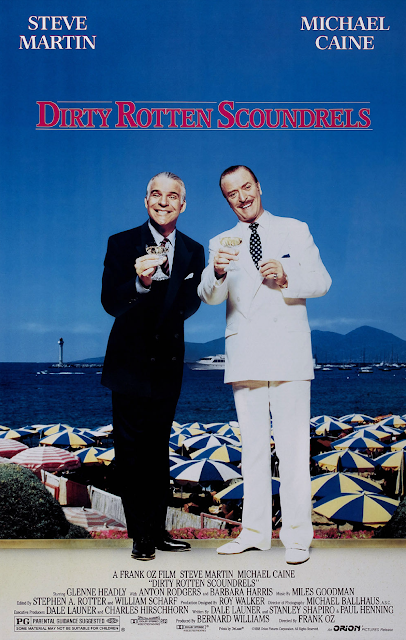 So, here's a curious one: could Dirty Rotten Scoundrels (1988) be made today? I'm going to say "no". Is the movie still still as oddly brilliant and funny as it was in 1988? More so, I think. The older I get, the more I relish Caine's role and dialog in particular. And Glenne Headley's breathy, wide-eyed Ohioan is, of course, absolutely terrific knowing what we know at the film's conclusion. But I suspect the twitter scold-squad would be up in arms about pretty much everything Steve Martin does in this movie if it arrived now. However, I am pretty sure in another 20 years, this movie will still be around and revered as a classic comedy by those in the know, part of Martin's filmography of rediscovered classics and Caine's occasional and often successful dive into comedy. And, of course, Headley will be rightfully mourned. I mean, Ruprecht is timeless, and I look forward to future generations wondering where he got the trident. I recently read the David Goodis novel, which Goodis himself adapted as a screenplay for The Burglar (1957). Surprise: the book is better. 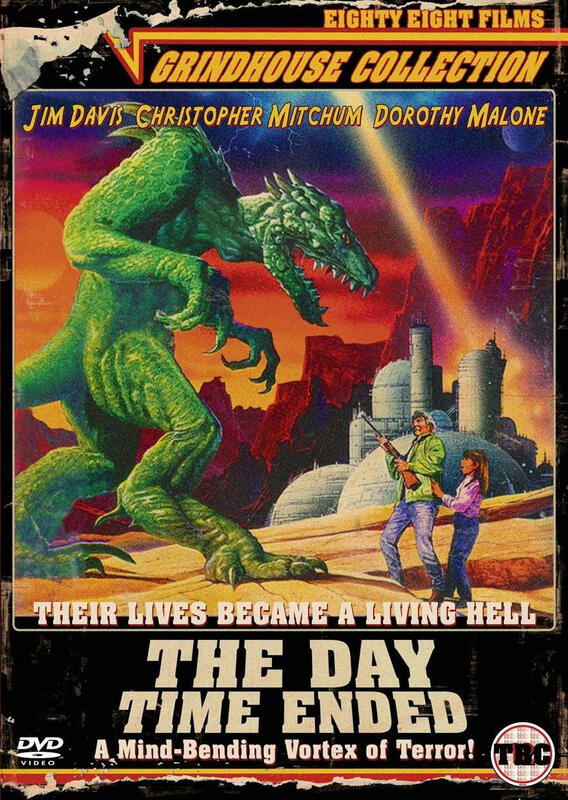 An existential noir thriller that *really* piles on Goodis' weirdness with women, the book is singularly bleak piece of fiction that, honestly, would probably not work terribly well as a film (the ending would be, also, logistically unfilmable in 1957*). 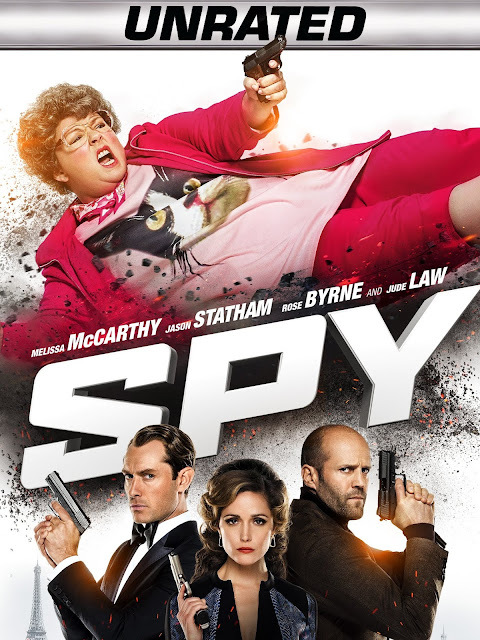 The movie hits a lot of the same beats and maintains the motivations of the book, but it's just not as well fleshed out, and they clearly were worried about the audience getting lost along the way so they're more concrete in trying to state the vague mess of issues plaguing Duryea's titular burglar. Jayne Mansfield is about as far from the Gladden on the novel as one could get in personality and build, but it does shake up the mix a bit and puts a point on the creeping sexual stress as the story shows up on the screen - it's simply different from the frail, skinny girl of the novel. There's some terrific imagery and cinematography in the film, and pitch perfect noir-esque build of sweaty claustrophobia once the game is revealed, all of which is mind-boggling, as this was the director's first time out (Paul Wendkos, who went on to make Gidget movies! ), and a DP who, really, doesn't show much on his filmography to show how he got to this point. Honestly, I think they cut too much from the book to give the other burglars any real personality or show why Duryea's character is so wound up, but it's still basically intact, and as a B picture, it's got some good stuff going for it. *it involves a lot of stuff of people swimming in the choppy Atlantic. Sort of. 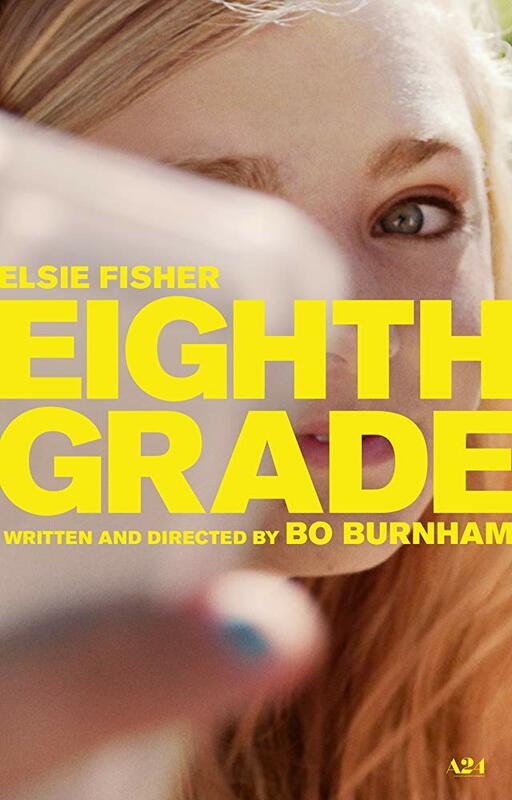 A lot of ink got spilled and a lot of gushing occurred when Eighth Grade (2018) hit cinemas last year. And, of course, you'll note the trend that this kneecaps movies for me when I do get around to seeing them, so I won't linger on that too much, but all of the praise certainly colored how I went into the film (cheerfully, willingly, curiously! ), and my reaction by the film's conclusion. So, this is a musical version of The Philadelphia Story - the classic flick starring Hepburn, Jimmy Stewart and Cary Grant. 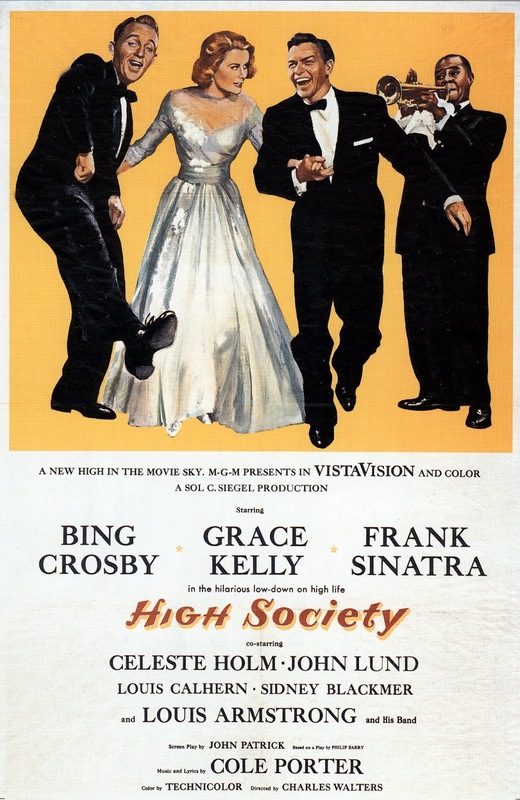 Apparently that play became the movie of The Philadelphia Story, which became the stage musical High Society, which became this movie. This movie isn't... great. It's not bad, and I laughed out loud at a number of things, but on the whole, I'd rather be in Philadelphia. And I say that as someone who is a fan of Bing Crosby movies and likes Cole Porter. What this movie does do is let Louis Armstrong play himself, and give him time to appear quite a bit in the movie. And he's not bad! This is also the movie that dares to remind you that Grace Kelly was very, very good looking* - which, as she is not Kate Hepburn, seems to be the primary driver for why men are after her (ladies, believe it or not, personality and wit go really, really far. Be a Kate Hepburn.). I dunno. I wish the music had more zip and it didn't feel like an echo of something else, but Bing looks like he's having a ball with Frank, and a gentleman in tophat and tails, suffering from a hangover, yells at a bird, and that was one of the funniest things I've seen in, like, a week. This is an oddball one to slot in with noir in some ways - but I think it fits. It's just sort of a weird set-up to have your antagonist of the film a Nazi war criminal. 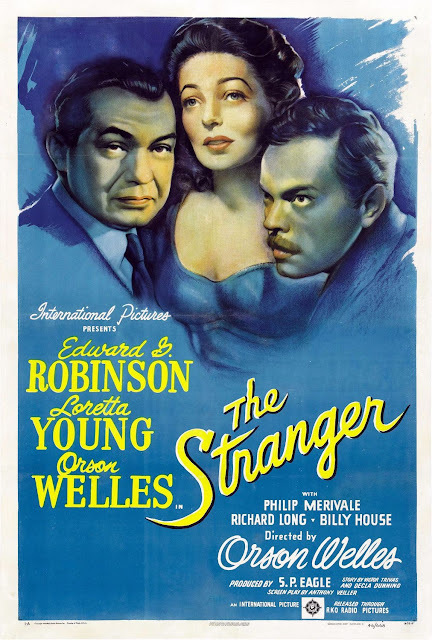 I really don't want to say too much or give too much away - I really didn't know much going into The Stranger (1946), and if you've not yet seen it - try not to learn too much and go give it a shot. 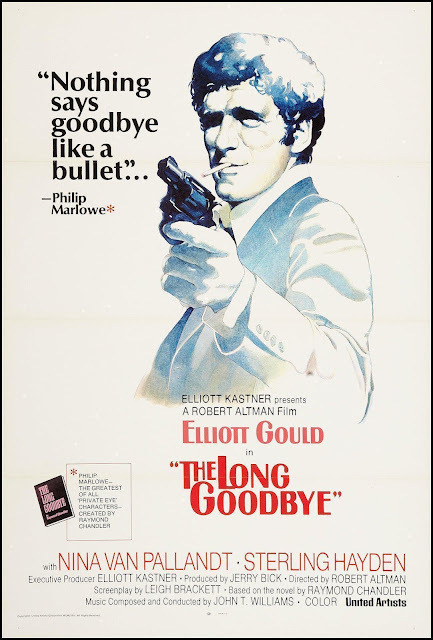 Simon and Ryan delve into Film Noir via Neo-Noir, Altman-directed entry "The Long Goodbye" (1973), an oddball of a film with a lot to offer. We explore the role of Philip Marlowe in the world of fiction, some of the mechanics of noir, and whether or not any of this actually works as a movie. Today marks what would have been the 101st birthday of screen actor, director and producer Ida Lupino. 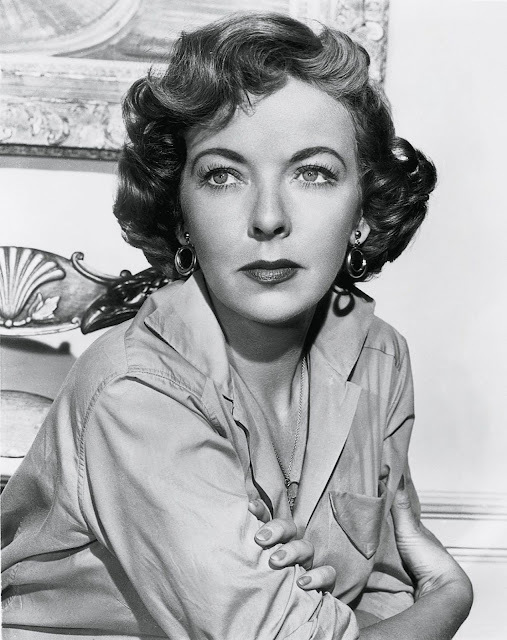 Ida Lupino passed in 1995. 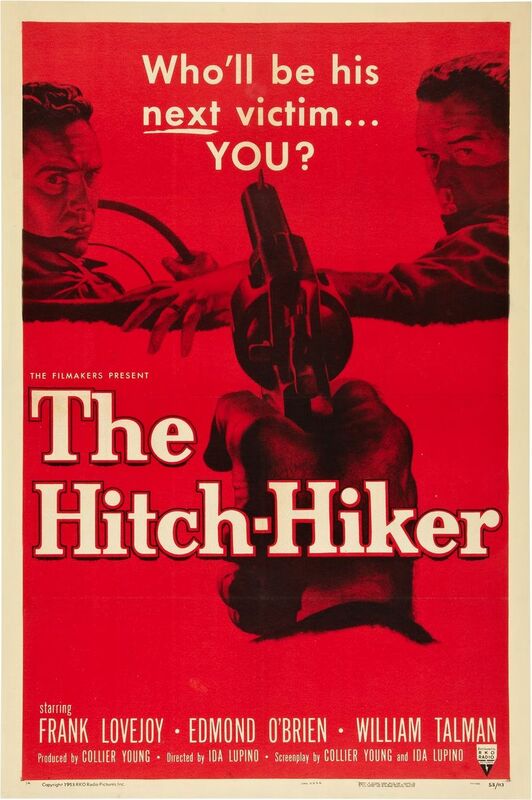 I first came to note Lupino in High Sierra, I believe (I can't recall anymore), and have gone on to try and watch whatever I see going by on TCM. Yes, she's a terrific actor and has a presence that stills like the one above don't always capture. There's an intelligence to her work that - when I learned she had gone on to do work behind the camera and established her own production company, just sort of made sense. She had the misfortune of being a woman born two or three decades too early, who still managed to carve out a place for herself in a field controlled by men. In 2018, a few retrospectives took place honoring her work and legacy. 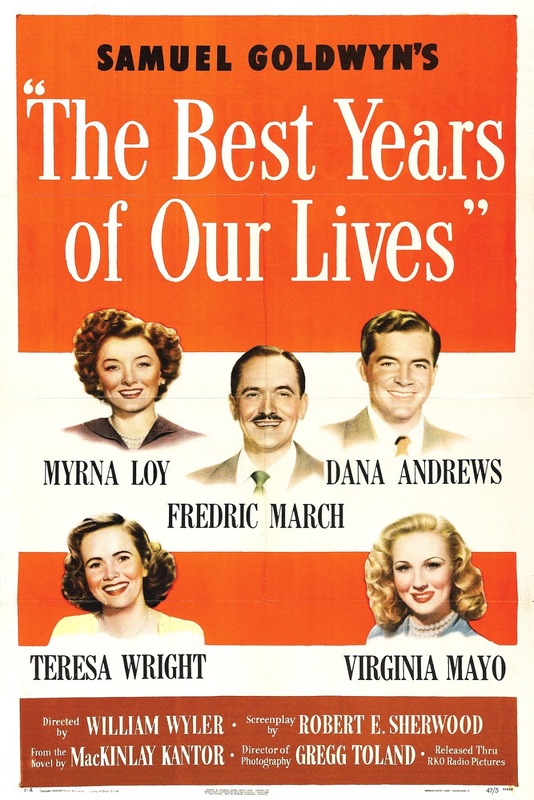 Did I watch any of her films from these retrospectives on my own time? No. Something I need to rectify. But I am glad that Lupino's reputation is getting elevated and the strides she made during her career are being seen by today's film fans and makers.